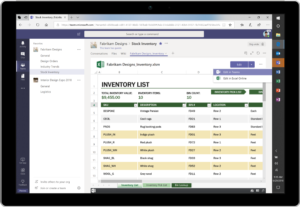 4 new ways Microsoft 365 takes the work out of teamwork—including free version of Microsoft Teams - AOShield Solutions Inc. - It's Time for Sharp I.T. Solution ! It’s been one year since we introduced Microsoft 365, a holistic workplace solution that empowers everyone to work together in a secure way. In that time, Microsoft 365 seats have grown by more than 100 percent, building on the more than 135 million commercial monthly Office 365 users, 200 million Windows 10 commercial devices in use, and over 65 million seats of Enterprise Mobility + Security. This momentum is driven by customers—in every industry—who are transforming their organizations to enable high performance from a workforce that is more diverse, distributed, and mobile than ever before. 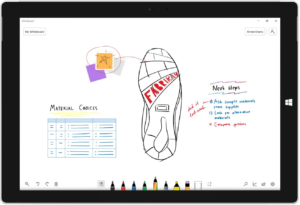 Microsoft 365 is designed to empower every type of worker—whether on the first lines of a business, managing a small team, or leading an entire organization. Today, we are introducing four new ways Microsoft 365 connects people across their organization and improves collaboration habits, including extending the power of Microsoft Teams and new AI-infused capabilities in Microsoft 365. To address the growing collaboration needs of our customers, last year we introduced Microsoft Teams, a powerful hub for teamwork that brings together chat, meetings, calling, files, and apps into a shared workspace in Microsoft 365. Now, more than 200,000 businesses across 181 markets use Teams to collaborate and get work done. Beginning today, Teams is available in a free version worldwide in 40 languages. Whether you’re a freelancer, a small business owner, or part of a team inside a large organization, you can start using Teams today. 10 GB of team file storage plus additional 2 GB per person for personal storage. This new offering provides a powerful introduction to Microsoft 365. Teams in Microsoft 365 includes everything in the free version plus additional storage, enterprise security, and compliance, and it can be used for your whole organization, regardless of size. As we advance our mission to empower every person and organization on the planet to achieve more, what’s most exciting are the stories of customers taking on big projects with a small workforce, such as The Hustle Media Company—who helps movers, shakers, and doers make their dent in the world. Their popular daily email provides their audience with the tech and business news they need to know. Or, take it from Urban Agriculture Company, a small business specializing in organic, easy-to-use grow kits of vegetables, flowers, and herbs. After landing on Oprah’s favorite things, founder Chad Corzine turned to Microsoft 365 Business and Teams to manage communication among his rapidly growing departments, onboard employees, and protect customer data. Today, we’re also introducing new capabilities that allow anyone in your organization to create live and on-demand events in Microsoft 365. 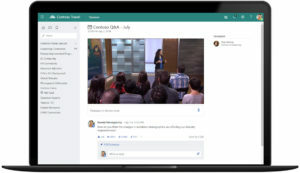 Events can be viewed in real-time or on-demand, with high-definition video and interactive discussion. Speech-to-text transcription, timecoding, and transcript search, so you can quickly find moments that matter in a recording. Events can be as simple or as sophisticated as you prefer. You can use webcams, content, and screen sharing for informal presentations, or stream a studio-quality production for more formal events. We’re rolling out the preview of a new Workplace Analytics solution, which uses collaboration insights from the Microsoft Graph, to help teams run efficient meetings, create time for focused work, and respect work/life boundaries. Organizations can use aggregate data in Workplace Analytics to identify opportunities for improving collaboration, then share insights and suggest habits to specific teams using MyAnalytics. We’re also rolling out nudges, powered by MyAnalytics in Microsoft 365, which deliver habit-changing tips in Outlook, such as flagging that you’re emailing coworkers after hours or suggesting you book focused work time for yourself. Whether you’re managing a new project or creating your own business, it helps to have your team behind you to brainstorm ideas, tackle the work together, and have some fun along the way. Take your teamwork to the next level and start using Teams today. AOShield Solutions Inc delivers well thought-out, practical and cost-effective, real-life results designed to satisfy our individual clients’ needs. Suite 114 - 10509 81 Ave NW, Edmonton, AB.